André is interested in energy and material flow and stock analysis for bulk materials. He aims to assess in-use material stocks, service delivery, and the relation between material stocks and well-being. André has developed a material flow analysis for steel in the UK, accounting for steel embedded in final products purchased in the UK, and prioritising the main opportunities for material and energy efficiency. André holds a BSc and MSc in Environmental Engineering from IST - University of Lisbon in Portugal. 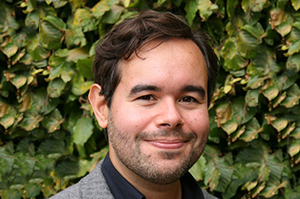 He joined the Centre for Innovation, Technology and Policy Research (IN+) at IST - University of Lisbon in 2009, where he completed his PhD in 2013 on historical energy and exergy use transitions of European countries. He joined the Use Less group at the Engineering Department of the University of Cambridge in 2014, where he holds a Research Associate position.